In this Ongoing group through our 5 modules we will explore love’s many faces, from love for ice-cream, romantic love and crazy love, to brotherly/sisterly love, parental love and devotional love. And let’s not forget the love for no reason. Movement practice is one of the best ways I know to embody love, as it asks for the whole body’s involvement and presence. We dance with both opening and closing of our hearts really knowing the difference and how each of these places serve us. We will continue the adventure of getting to know our emotions and what each of them has to do with loving and being loved. We use any meeting with each other on this journey as a mirror of our own heart, its emptiness and fullness, its troubles and joys, its wisdom and its innocence. As our hearts get juicy again, our sexuality is awakened in our moving bodies, so we will explore the connection between our emotional and sexual life, as well as how dance and moving meditation can serve our sexual healing. The group will dance and dive deeper together for five modules over a year. The continuity in this type of work together with the exploratory work we do between modules creates and provides a strong, safe and supporting group space for our sharing and learning. Our life becomes our dance, and our dance becomes our life. 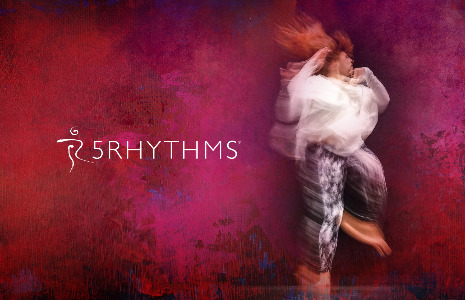 This ongoing group counts for 10 Days of Heartbeat level towards the 5Rhythms Teacher Training prerequisites. Prices per module: Early booking until 15th of January 2018, price is 160 EUR. Full price is 180 EUR. Working team price is 100 EUR. Applications are necessary, with 70 EUR non-refundable deposit. In case you are unable to participate in one or more modules, for whatever reason, you will have to pay 70% of your price for that module.